Cheese Factory 1984. Suemnich Cheese factory. City Park 1967. New tree growth. City Park 1967-2. Elm Trees. Flood 1966-1. Webb Ave. April. Flood 1966-2. Berning Garage. April. Flood 1966-3. Woolen Mill dam. April. 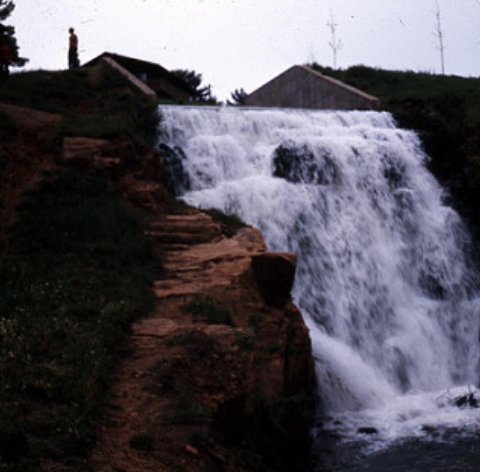 Flood 1966-4. Super Value store. April. Flood 1966-5. Main St. bridge looking east. April. Hastings Safe. Of Dr. T.R. Hastings in Brown Drug Store. Now at Reedsburg Historical Soc. Main St 1970. Parade, 1970. Looking East. Presby Church. Presbyterian Manse 1960. Sanatorium 1968. Sanatorium of Dr. Hastings, Vine St. Tearing down. Snow Removal 1967. Vine St.
Tibbitts, Shirley. Interior of First Presbyterian Church. 1972.